We offer our barrels in a variety of calibers/twist combinations from 17 caliber up to 50 caliber. We also offer a few different pistol calibers such as 45 Pistol. Below you will see the calibers and twists that we currently offer. 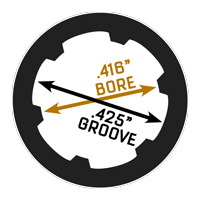 Next to each rifling twist, the number of grooves is shown. 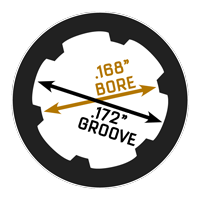 There are a lot of debates out there about how many lands/grooves make the most accurate barrel. 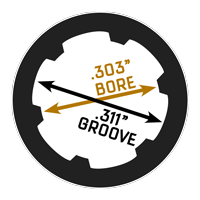 We can say that without a doubt that we have yet to manufacture a barrel that isn’t inherently accurate. Please note that 17 caliber barrels will have an additional cost, due to difficulty. 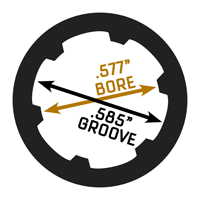 **Note we can chamber 7.62 x 39 or 7.62 x 54R in this bore/groove combinaton, please be sure of the bullet diameter you will be using before choosing this option.